RALEIGH (WTVD) -- The city of Raleigh is conducting an internal investigation into the handling of multiple 911 calls and the delayed police response to a reported burglary. The investigation, confirmed by the ABC11 I-Team, will specifically review the Raleigh Police Department and the Emergency Communications Center, which is the agency that receives 911 calls and then dispatches police, fire, or EMS crews to a reported incident. "We are committed to always having strong, reliable communication between these two important departments," a city spokesman asserted in a news release sent to ABC11. "The city of Raleigh views the safety and security of our community as a top priority. The Raleigh Police Department and the Emergency Communications Center are conducting investigations into the handling of a recent 9-1-1 burglary call. We are committed to always having strong, reliable communication between these two important departments." The city said the unfortunate incident was not an RPD staffing issue, it was a miscommunication issue with the Emergency Communications Center that should not have happened. Each department is looking internally to see how situations like this can be avoided in the future with a goal of being more efficient and effective. Raleigh Police Department command staff and Emergency Communications Center management met with the homeowner Friday morning and informed her of their findings. 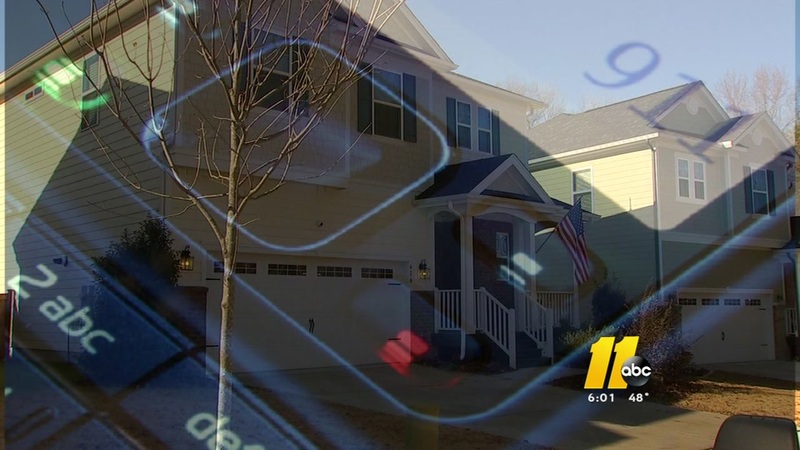 The investigation follows an alleged burglary captured by home security cameras in the 300 block of Plainview Avenue in Raleigh's Oakwood North neighborhood. The video shows three young men first circling the block on bikes, then entering a home through a door. The video goes on to show something disturbing the suspects, who then abruptly turn around and escape. According to the victim, who wished to remain anonymous, it took more than 40 minutes for police to arrive despite her dialing 911 twice. As she waited, she posted on her neighborhood Facebook page to alert other homeowners in the area. "That terrifies me," neighbor Melinda Rickard lamented to ABC11, worrying to the delayed response. "We have children home and I'm home alone a lot. I don't know what I would do in that situation." In recordings obtained by the ABC11 I-Team, the victim first dialed 911 at 6:34 p.m., and then a second time at 6:59 p.m.
During the second call, a dispatcher told the victim, "An officer was diverted to a shooting, (sic) more officers are on duty soon. You're next up." Oakwood North falls into the jurisdiction of Raleigh Police's Southeast District 4, headquartered at 1601-30 Crosslink Road. According to MapQuest, the distance between the District 4 station and the address of the reported burglary is 3.5 miles and eight to nine minutes of travel time without traffic.